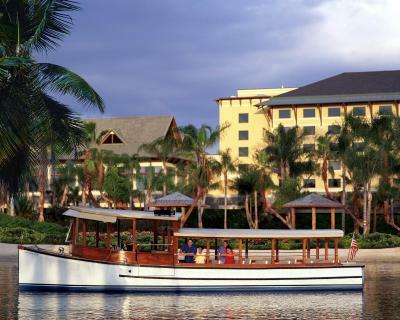 Lock in a great price for Universal's Loews Royal Pacific Resort – rated 9.1 by recent guests! View. Welcoming staff. Smooth check in and check out. Room service. Taxi water and shuttle bus. Express pass to Universal studio. Excellent hotel for Universal studios. 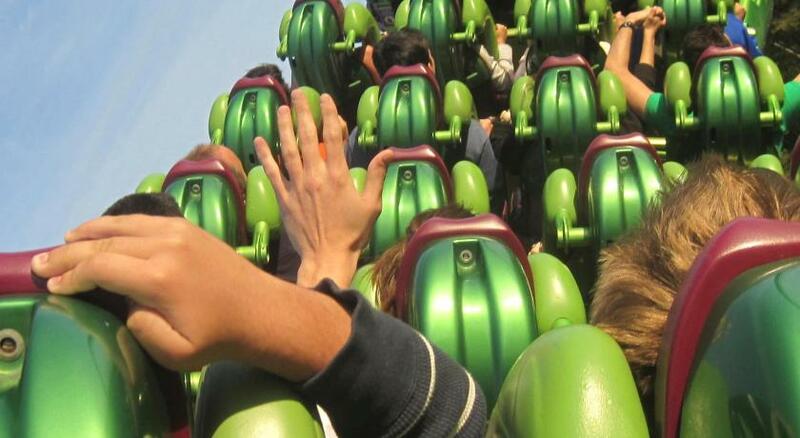 7mins walk and express passes make it great value for money for visiting the Universal parks. location excellent with ability to jump boat or walk. Very clean and well kept areas outside. Room spacious and bright. The staff was very friendly! Our room was spacious and very quiet! We had the club room and had breakfast every morning. It was good for the value. 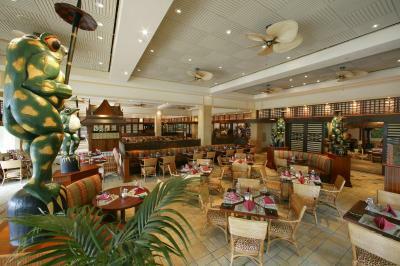 We also ate at the one restaurant with the buffet one morning and it was also very good. Location & grounds of hotel were perfect! 5 minute walk to universal studios gates. 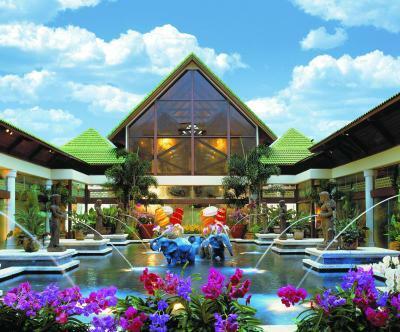 Lush and posh tropical feel in lobby and around pool. Beds were comfy and bathroom was clean, shower amazing. Sushi restaurant in lobby had fabulous quality food and great service. Convenience shop in lobby had everything you needed. Ease of parking. Beautiful lobby and more than enough staff to help with check-in. They made my son:bday boy, feel VERY special! Wonderful dinner at the Islands Dining Room with the stir-fry and the manager surprised my son with a treat in our bedroom to top off his celebration! 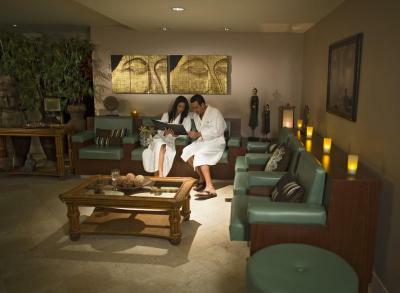 The people were so service-minded, and took very good care of us. The room is beautiful. 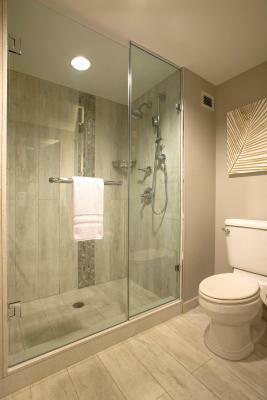 The shower and bathroom was clean and pretty and looked brand new. The beds were so comfortable and people were nice! 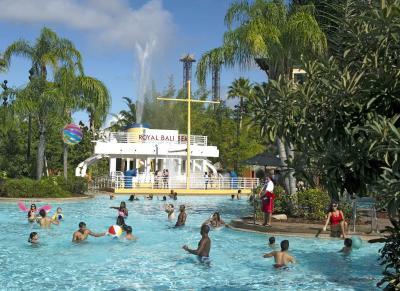 Universal's Loews Royal Pacific Resort This rating is a reflection of how the property compares to the industry standard when it comes to price, facilities and services available. It's based on a self-evaluation by the property. Use this rating to help choose your stay! 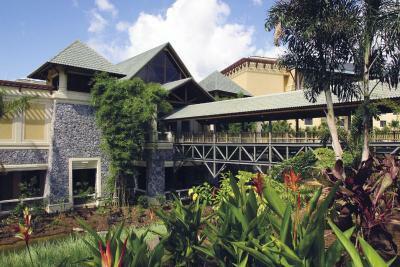 A flat-screen TV and Keurig single-serving coffee cups are provided in all rooms of the Loews Royal Pacific Resort along with an iPod docking station. 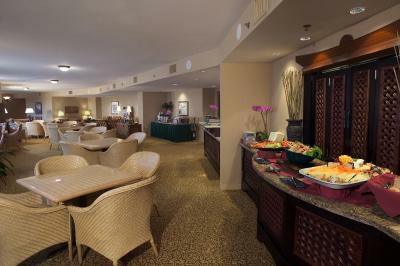 Club level rooms offer upgrades, including snacks and cocktails in the Royal Club Lounge. An Avis Rental Car desk and business center are available. 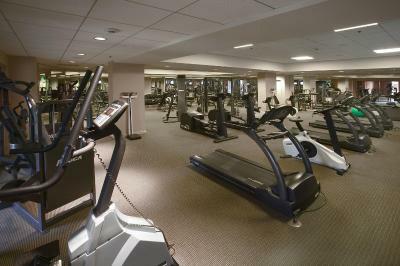 The Gymnasium fitness center (surcharge) is included for Club Level guests. 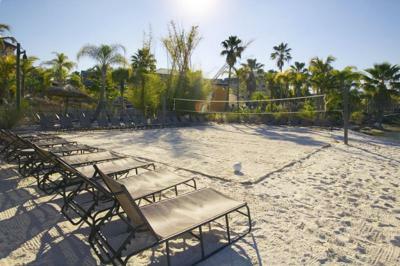 A volleyball court, 2 hot tubs, and transfer service to Universal Studios theme parks are also offered. 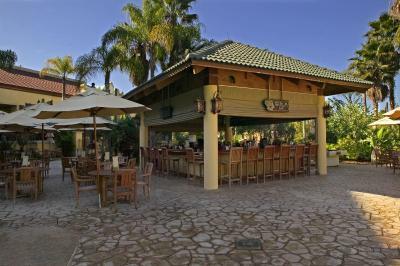 Guests can choose from 6 restaurants located on the property, such as Jake’s American Bar, which serves casual fare. 24-hour room service is available. 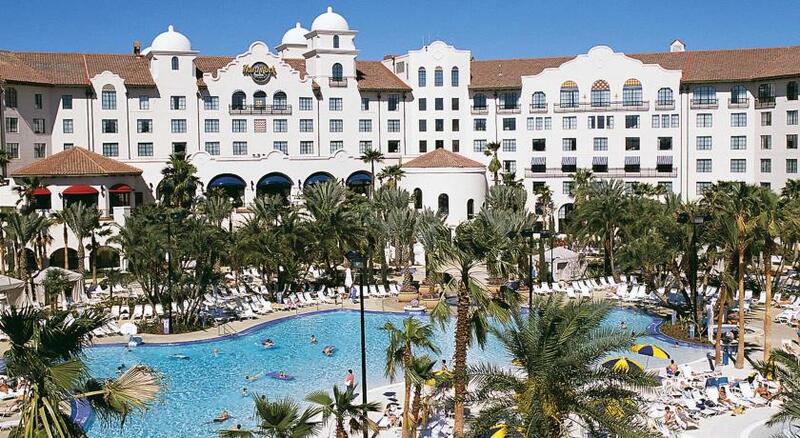 Orlando International Airport is located 20 minutes’ drive from Loews Royal Pacific Resort. Universal City Walk offers shopping, dining, and nightlife just 10 minutes’ walk away. 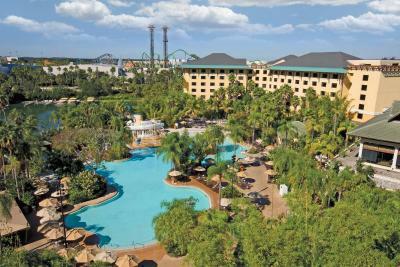 When would you like to stay at Universal's Loews Royal Pacific Resort? 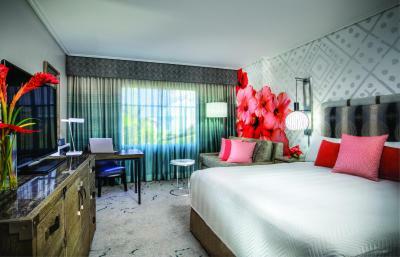 This room features a 32-inch flat-screen TV with high definition channels. An iPod docking station and coffee-making facilities are also provided. Please note that the price is based on 2 guests. Maximum occupancy is 4 guests. (See Hotel Policies). 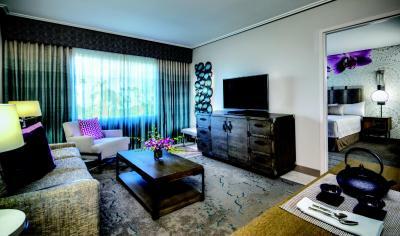 This spacious suite features a 32-inch flat-screen TV with high definition channels. An iPod docking station and coffee-making facilities are also provided. 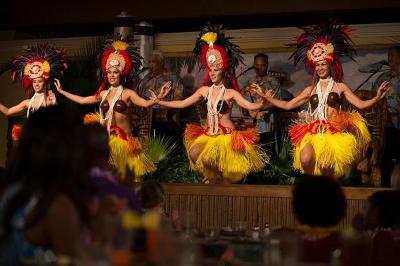 Be swept away to a South Seas escape filled with tropical wonders, exotic food and carefree fun. Relax beneath swaying palms on the white sands of a sparkling lagoon-style pool. 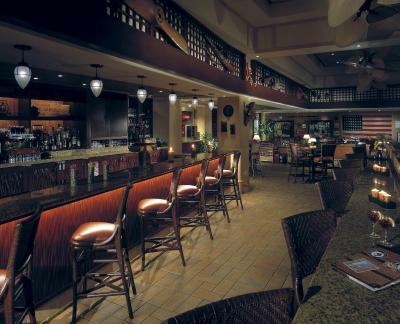 Day and night, delectable, innovative culinary creations welcome you to savor one-of-a-kind dining adventures. Emeril’s Tchoup Chop tempts with its famed fusion cuisine. 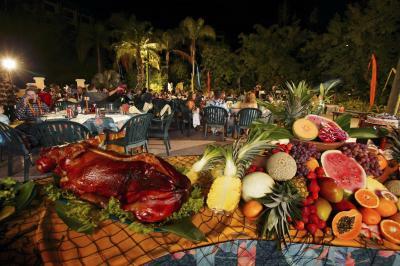 And on special nights, fun blazes to life with a classic luau celebration of aloha. 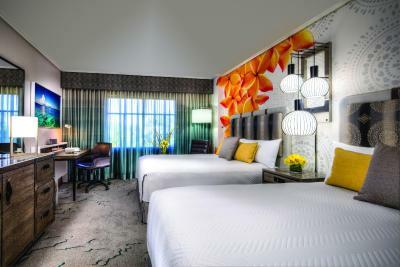 AAA Four Diamond Award® accommodations. 1. Standard rooms sleep up to 5*. 2. 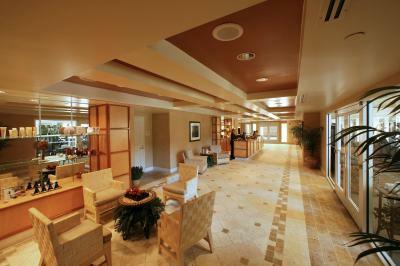 Club Level rooms sleep up to 5* and enjoy Royal Club Lounge Access. 3. 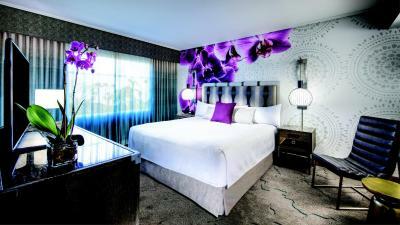 Suites sleep 3-11* guests. 4. Themed Kids’ Suites sleep 5*. 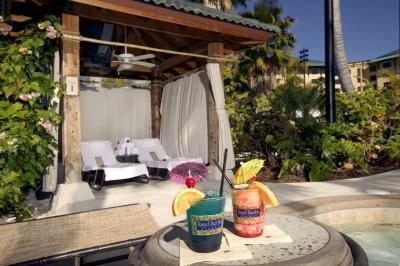 House Rules Universal's Loews Royal Pacific Resort takes special requests – add in the next step! Universal&#39;s Loews Royal Pacific Resort accepts these cards and reserves the right to temporarily hold an amount prior to arrival. 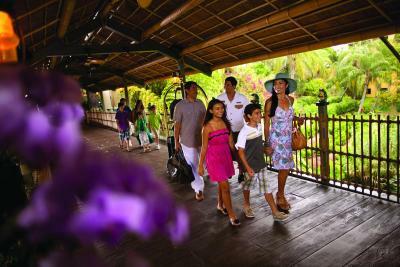 Universal's Loews Royal Pacific Resort accepts these cards and reserves the right to temporarily hold an amount prior to arrival. Early Park Admission begins one (1) hour prior to regular scheduled park opening to either Universal Studios Florida™ or Universal’s Islands of Adventure™ as determined by Universal Orlando. Valid theme park admission is required. Valid at select attractions at each park. Attractions are subject to substitutions without notice. Additional restrictions may apply. Contact the property for details. Guests must be 21 years of age or older to check in. Photo identification must match the name on reservation. Please note that only 2 pets can be accommodated in pet-friendly designated rooms. Contact the property for details. Paid theme park admission required. Only valid at Universal Studios Florida™ and Universal’s Islands of Adventure™ theme parks. Not valid at Harry Potter and the Forbidden Journey™, Harry Potter and the Escape from Gringotts™, other select attractions, separately ticketed events and Hogwarts™ Express. Couldn't get coffee machine to work. Very clean and like deco. Fabulous location and friendly staff. Would definitely stay again. The spa a little bet far. Nothing I can think of.. Oo maybe If my partner was asked this question the price of the drinks very expensive apparently !! The hotel is brilliant , themed but not over the top. The rooms are really lovely and very clean and the beds are so so comfortable. The pool area is great and really kid friendly and at night they show a film while the children are in the pool . The water boat takes you straight into Universal takes about 5 mins and is a great service and runs from 7am till 1.30am it’s great. The express passes you receive from the hotel for the universal parks are an absolutely amazing . Very comfy beds, lovely surroundings, very welcoming. Highly recommended for families. Pool area great. Staff and their lack of customer service. I also did not like being charged for parking without being told beforehand as I was not using parking facilities. Staff are unhelpful and rather rude. Pillows were really comfy. Lovely room. Great location. Room Service took longer than stated. Breakfast was amazing!!! Had room service. Gratuity for beer at pool bar a little steep at 18% We went to bar so other than pouring the beer no service received!! The grab and go breakfast was great value and convenient when you want to get out to the park. Location and connection to Universal parks. Breakfast is not at the level of the hotel. Service is very slow fir a ka carte order. Expensive for its quality. Also there is no transport offered to any of Disney parks. I understand that it is a Universal property but they should keep the clients in mind. The location is brilliant. Staff very helpful and friendly.